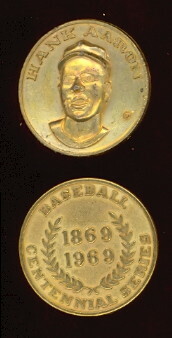 This 20 metal coin Set was issued by Citgo to commemorate Baseball's 100th Anniversary. 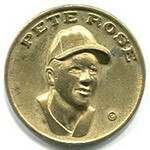 The brass coated Coins are approx. 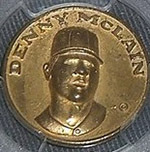 1" in diameter and are susceptible to tarnishing due to oxidation. 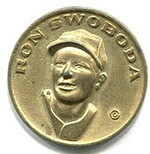 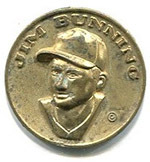 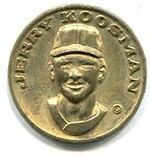 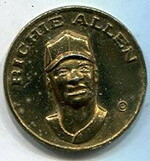 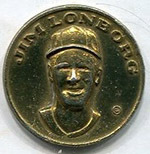 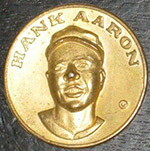 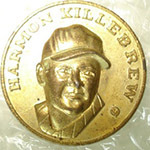 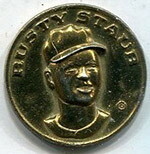 They display the 3-D portrait of a player and his name on the front. 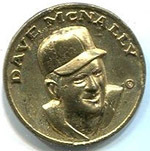 The back of the coin honors the 100th Anniversary, they are unnumbered but are checklisted by numbers that appear on a paper display that was available from Citgo by mail.